There’s a new Librarian of Congress! 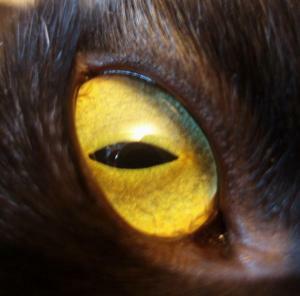 “Octopus eyes are crazier than we imagined“. Linkity from Hockey in Society. Timelapse of storms with tornadoes. “Sheep fitted with cameras are mapping the Faroe Islands“. Infographic about relative sizes of dolphins, porpoises, and whales. “25 ways to eat salad for dinner tonight“. 19 recipes using peaches or nectarines. Pork and broccoli rice bowls. Glass sculptures that look like knitting. So me. So very, very me. Serena Williams reacts to “the obnoxious things men sometimes say about women”. Luggage made from recycled airplane seats. “Simulation recreates the frustration of using a typewriter“. Shark-shaped tea bags that “ooze blood red tea”. Simon’s Cat and the laser pointer. Emus and babies! Lion and baby! Kittens! 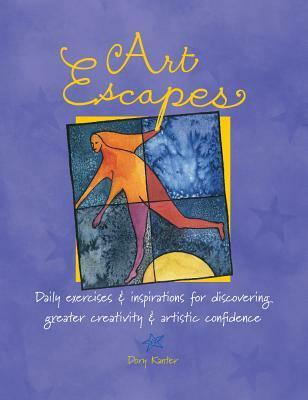 Art Escapes: Daily Exercises & Inspirations for Discovering Greater Creativity & Artistic Confidence by Dory Kanter. This one’s focused mostly on using watercolors in an art journal, with a little bit about collage. I found some of the watercolor information to be extremely helpful – the author provides detailed information on specific watercolor brands and shades for primary, secondary, and tertiary colors. And although the book was published 13 years ago, the paints are still available. Posted by Chris on Friday, July 15th, 2016, at 2:00 am, and filed under Linkity linkity link, Reading, Reviewettes. 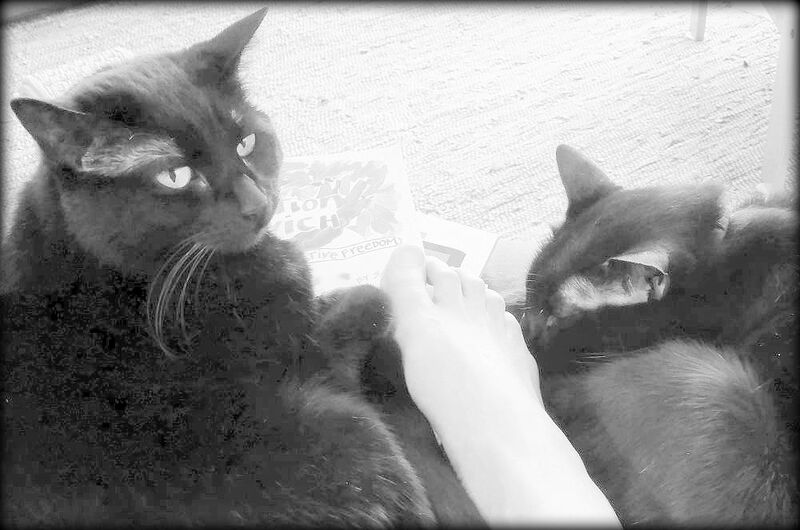 A recent post from marylou..Second of May, Shoelace Day. Sheep view! OMG, love it. Eew, more eggplant. Some of those peach recipes look amazing, though. Hee hee, shark tea bags! Love it. Oh, I just love the goldfish teabags linked from the shark one! I like the idea of luggage made from recycled airline seats.